Nothing to report on this part of the trip. Today was a very rainy day in Washington DC because we have been affected by hurican weather. One could hardly cross the street. Thus we planned a visit of the Aircraft Museum and spent some time and money in Macy’s. 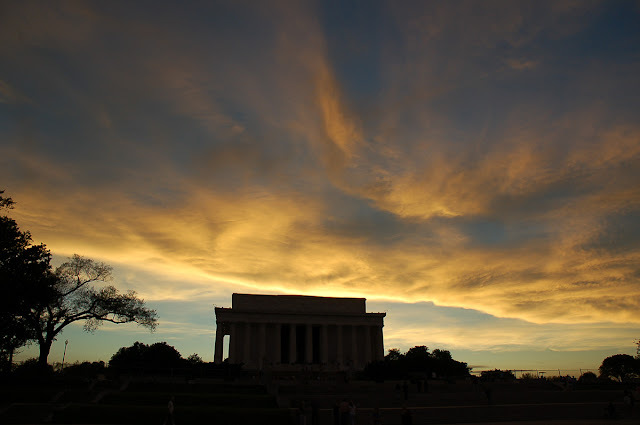 In the evening weather became better, so we had a chance to walk along the National Mall, enjoying the sunset. We are heading towards New York tomorrow and will stay there for a couple of days. 2008 Amerika East Coast Foto Fotografie New York New York City Ostküste Photo Reisetagebuch Rundreise Sonnenuntergang Travel Unterwegs Urlaub USA Vereinigte Staaten Washington Washington d.c.